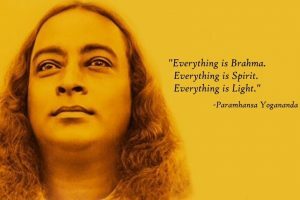 Self-Realization Fellowship (SRF) was founded in 1920 by Paramahansa Yogananda for the purpose of disseminating Kriya Yoga, a path of definite scientific techniques for attaining direct personal experience of God. The importance of deep meditation is felt more than ever in our daily lives! Self Realization Fellowship (Yogoda Satsanga Society of India ) was founded by Paramahansa Yogananda to disseminate scientific yoga techniques being passed down the ages by ancient saints and masters of India. The Toronto Centre of Self Realization Fellowship (legal name Toronto Yogoda Meditation Centre) needs your help! We are in the process of acquiring a permanent location in Toronto, Canada for the attendees of our meditations and services, and for those interested in learning more about Yogananda’s teachings of tolerance and acceptance. You can help us realize this dream by donating $20, $50 or $100. We have charitable status in Canada. PS. Please watch this small video from the documentary Awake . Donation of Stocks or Bonds: You can eliminate the payment of capital gains tax on the sale of stocks or bonds by transferring them to us. As a registered charity we do not pay tax and would be able to sell these for you and provide a tax receipt for the full sale price. Your contribution will help Master’s work in Toronto and is greatly appreciated.